The newly published 2018 Annual Disability Statistics Compendium shows South Dakota has an employment rate of 51.3 percent for people with disabilities. Further analysis by the nonpartisan advocacy group RespectAbility shows that South Dakota’s disability employment rate has remained steady over the past two years. Further, despite being a small state, South Dakota consistently has outperformed bigger states such as California or Texas. The job losses experienced by South Dakotans with disabilities reflects a slowing state economy impacted by changes in agriculture and shifting employment patterns. However, newly sworn in Gov. 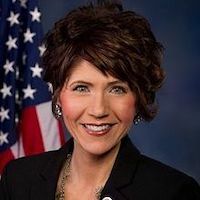 Kristi Noem has a significant opportunity to make her mark on the state and empower even more people with disabilities to join the workforce. Gov. Noem just released a proclamation celebrating March as Intellectual and Developmental Disability Awareness Month in order to raise awareness of how to promote more inclusive education, employment and community living for her state’s disability community. “Our nation was founded on the principle that anyone who works hard should be able to get ahead in life,” said Hon. Steve Bartlett, current Chairman of Respectability, who co-authored the Americans with Disabilities Act when he was in Congress.